This entry was posted in Gallery and tagged animals, art, BIRD, branch, Cardenal común, Cardenal norteño, Cardenal rojo, Cardinal, Cardinal rouge, CARDINALIDAE, cardinalis cardinalis, Cardinals, chilling, d810, fact, Female, fun, hamburg, Interesting Fact, joke, leopard joke, life, model, Nature, neighbor joke, new jersey, Nikon, NJ, nj photography, nj wild, nj wildlife, Northern, Northern Cardinal, Northern Cardinal female, Northern Cardinal Female on branch, PASSERIFORMES, Photo, Photography, portrait, Resident, Tamron, travel, tree, what was that, Wild, wildbird, Wildlife, winter. Bookmark the permalink. Lovely photo! Soon I will know my birds in North America. Hehe! Just dreaming! Such a gorgeous bird and the picture, simply breathtaking ! Lovely little bird, and lovely shot! I am also slowly learning who’s who in the bird world, and your photos and facts certainly help! 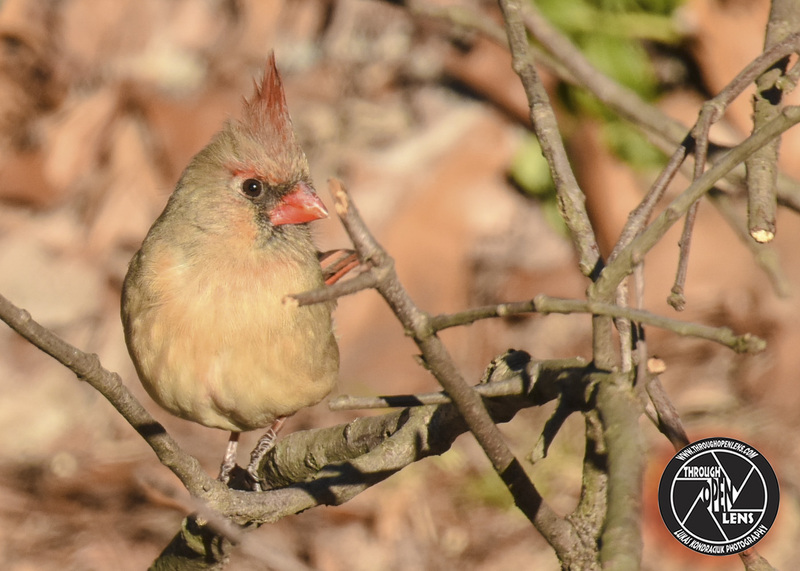 The two cardinals who live in our yard had a problem with a baby that left the nest too early and landed in the overgrown jungle of our garden. They were back and forth with him all day, and I wished I could do something to help–but what? It seemed wisest to let them handle it. Finally they did, and all three flew away together. I guess the young ‘un just needed some encouragement.